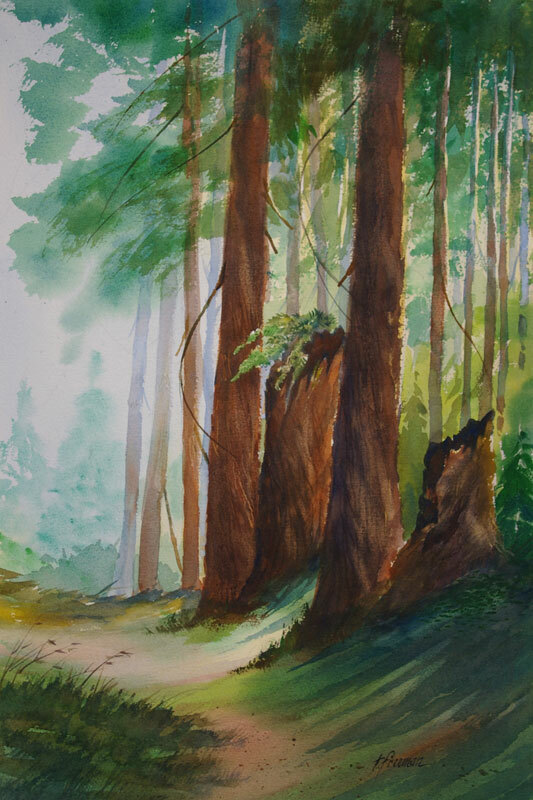 Thomas Freeman Original Watercolor Painting: "Redwood Forest"
This is Butano State Park near Pescadero, California, on the San Mateo coast off Highway 1. This redwood forest is one of our family’s favorite places. Totally quiet and with the wonderful smell of the woods.